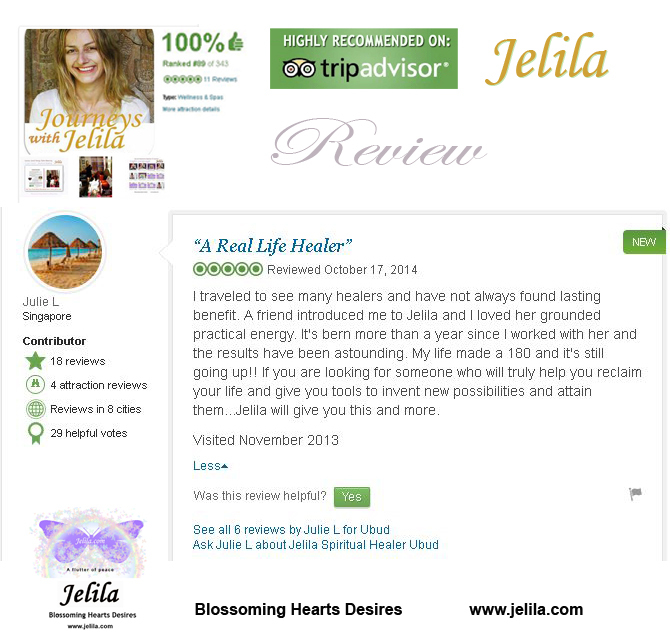 Join Jelila’s Free Private List now for Spiritual Insider Updates. ‘Not Sure What to Book’ Package 1 – Gets you well on your way realising your Exquisite Nature! 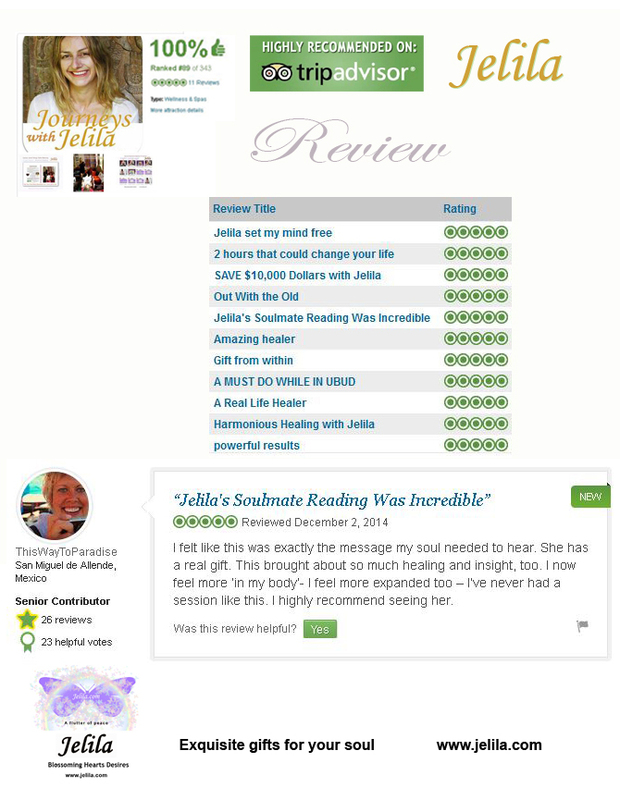 Includes 1 x Healing Music CD to support you, worth $30, 1 x Crystal Healing Necklace worth $44 for Positive Energy, and 5.5 Hours of mixed healing sessions, bringing out your exquisite nature, releasing blocks, releasing limitations, bringing great positive change, understanding, peace, and happiness. ‘Thank-you – this is all I’ve wanted for a long time’. Session types are interchangeable for others of comparable value. You may choose the CD or Necklace you prefer. 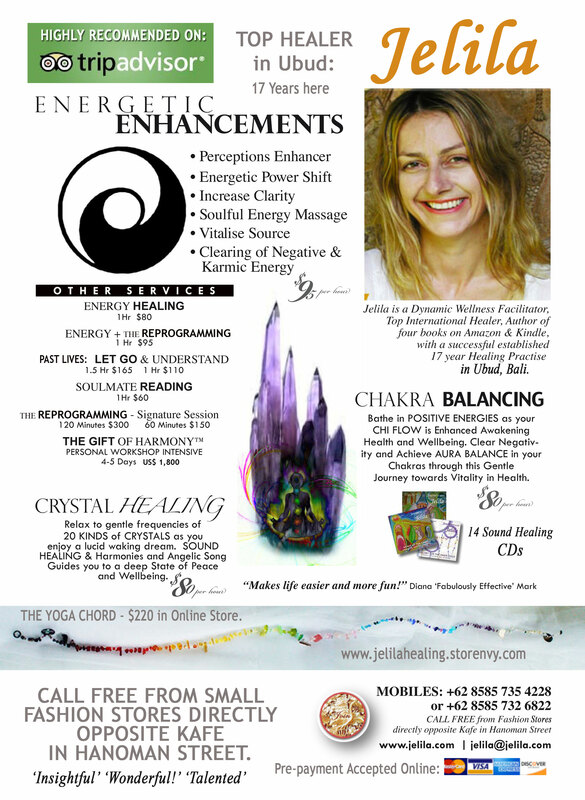 Detox Package – Emotional and Mental Support during your Detox program, including 1 x CD for Detoxing Negative Feelings – ‘I Choose Me’, 1 x Detox Negativity Crystal Healing Necklace, and 5 Hours of mixed healing sessions to help you through whatever comes up during your Detox, bringing support, understanding, peace, and happiness. Session types are interchangeable for others of comparable value. 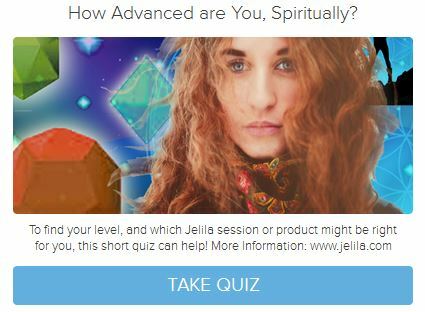 You may choose the CD Journey and Crystal Healing Necklace you prefer. 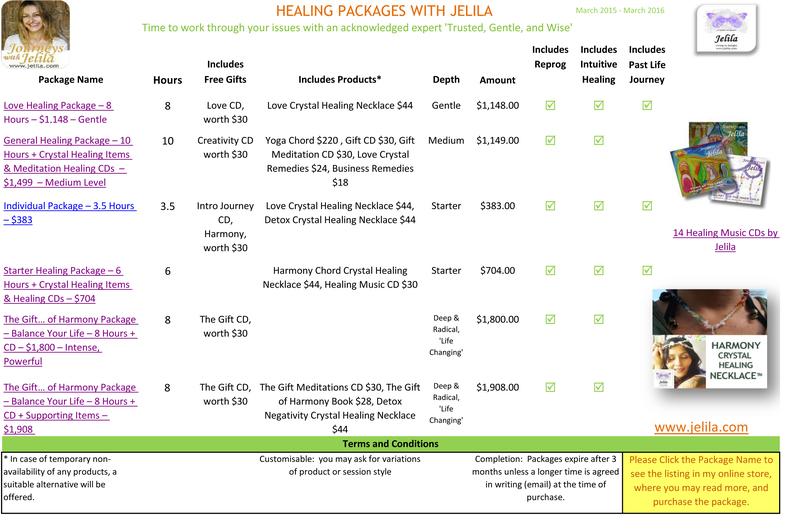 Detox Package 2 – Support during your Detox program, including 1 x CD for Detoxing Negative Feelings – I Choose Me, 1 x Detox Negativity Crystal Healing Necklace, and 10 Hours of mixed healing sessions to help you through whatever comes up during your Detox, bringing support, understanding, peace, and happiness. 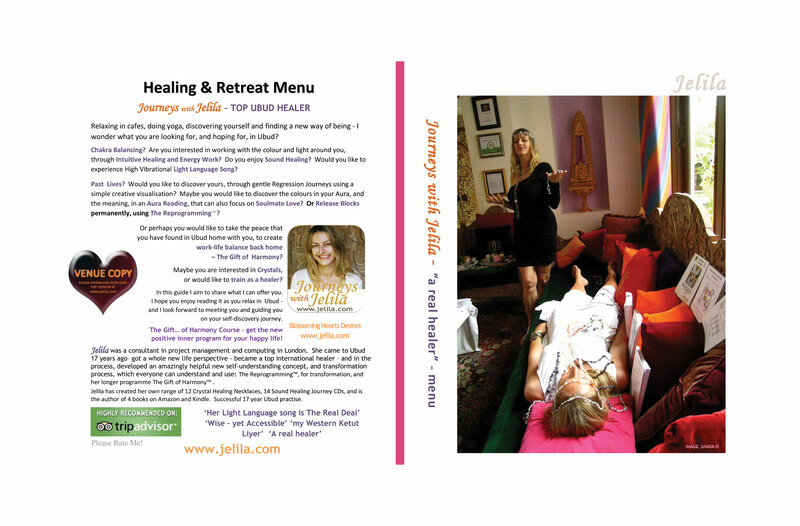 Great package to help and support you emotionally as you go through Detox, releasing your emotional blocks, smoothing the process. Often chosen by guests at One World Retreats and Ubud Sari, bringing ‘major release, major transformation’ that you are looking for. 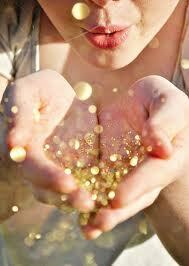 ‘I Highly Recommend the Energetic Enhancements when you are going through Detox’, Blossoming your Hearts Desires. Listen to the CD, Wear the Detox Negativity Crystals, Experience the supportive sessions, and feel better immediately during and after your Detox. Session types and Package Gifts are interchangeable for others of comparable value. 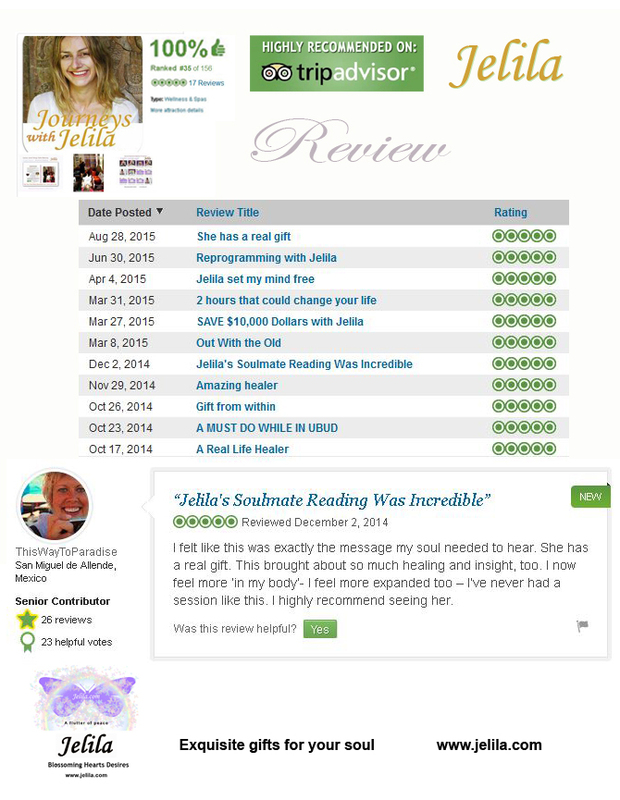 You may choose the Healing CD Journey and Crystal Healing Necklace you prefer. Ideal for a short trip to Ubud – or if Online, to feel you’re in Ubud! 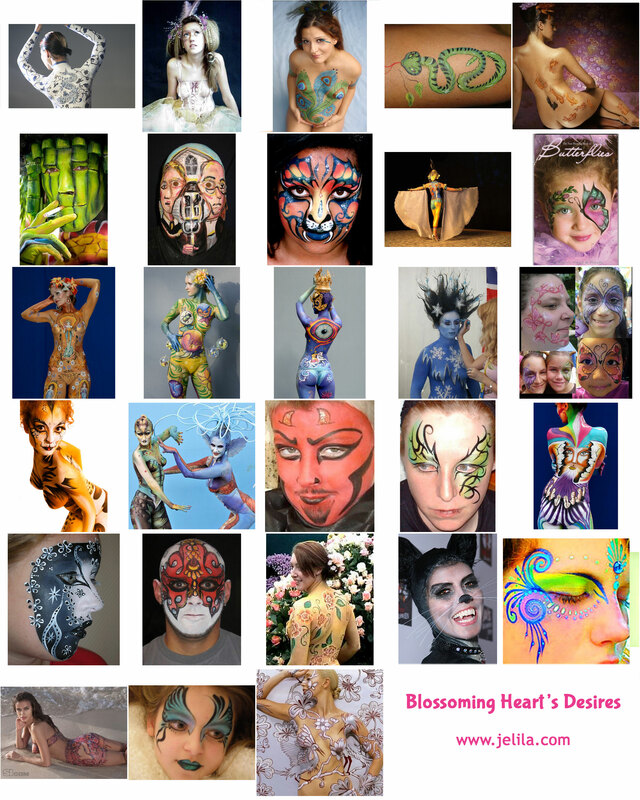 Starter Package – Get started on revealing your Exquisite Nature! Includes 1 x Healing Music CD to feel good worth $30, 1 x Crystal Healing Necklace worth $44, and 7 Hours of mixed healing sessions, bringing out your exquisite nature, releasing blocks, releasing limitations, bringing great positive change, understanding, peace, and happiness. Session types are interchangeable for others of comparable value. 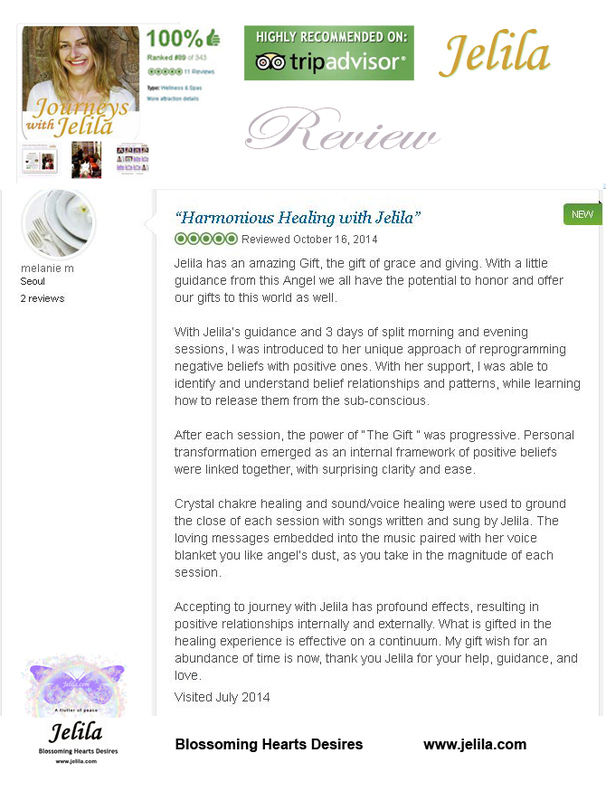 You may choose the Healing Music CD Journey and Crystal Healing Necklace you prefer. 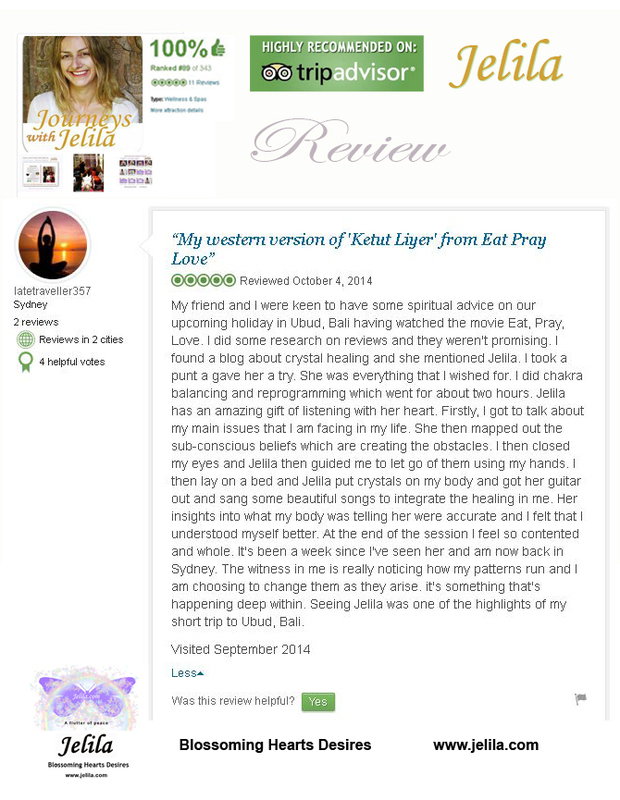 ‘10 Days in Ubud’ – A huge step towards revealing your Exquisite Essence! Includes 1 x Healing Music CD to feel good worth $30, 1 x Crystal Healing Necklace worth $44, and 9.5 Hours of mixed healing sessions, bringing out your exquisite nature, releasing blocks, releasing limitations, bringing great positive change, understanding, peace, and happiness. ‘Ubud Dreaming’ – 3 months in Ubud? Or ‘When You’re Back Home’ – Would you like to invest in your regular evolution and build a bridge to your dreams with weekly, bi-weekly, or monthly sessions? Buy 10 sessions, get 1 free. 11 x 1 Hour Sessions in this package (1 free). The ‘Big Clear Out’. Wordlessly relieve your deep stress as negative beliefs are cleansed from your system permanently via positive energy intuitive healing. Great package for in Person over a longer period of time like 3 months or Online. If Online, can be done completely remotely, or, you can be on Skype. Your results are sent afterwards by email. Relax and lie down and enter a gentle dream state as Energetic Enhancements bring you: Perceptions Enhancer, Energetic Power Shift, Increase Clarity, Soulful Energy Massage, Vitalise Source, Clearing of Negative and Karmic Energy. These sessions can take place in person and by distance. Your system will gently start to process negative beliefs – in an hour you will often release 10-20 pages of negative beliefs! You receive a copy of everything changed, and the new positive beliefs gained, after your session, on paper or by email, with an explanation of the meaning and benefits of the belief changes. 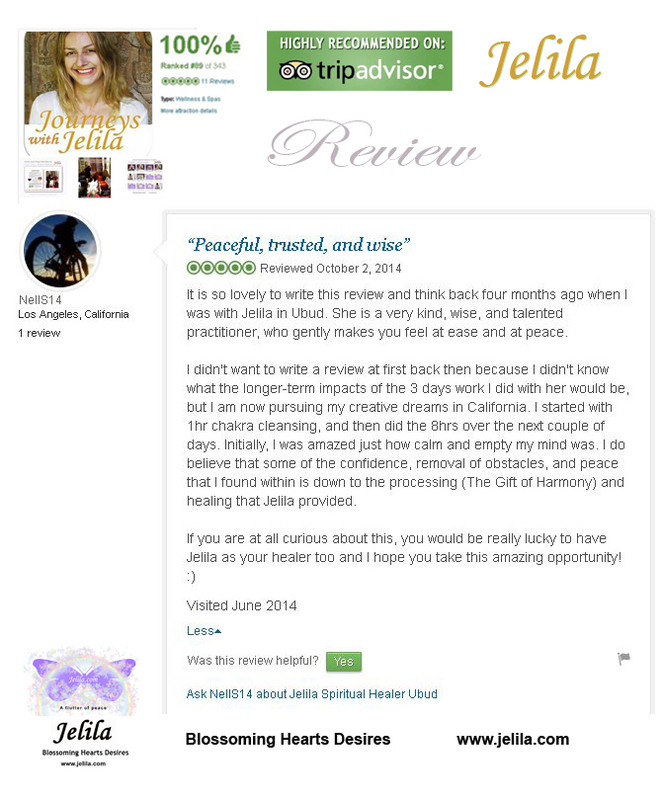 This deeper form of intuitive healing is ‘Soothing, Calming, Powerful, Relaxing’. 11 x 1 hour sessions for the price of 10. Would you like to have work-life balance? Time to play? To feel emotionally balanced and satisfied? Feel good about being here? The Gift of Harmony Transformation Process is a ‘radical, powerful’ 4 day course, working 2 hours per day, (or it can be done over less time like 2.5 days doing 1 or 2 sessions a day) where you are guided to release core negative beliefs in each of 4 key parts of yourself – bringing them all together. This is the ‘core course that fixes everything’. It is a ‘radical journey that releases deep negativity’, bringing everything together for you. Would you like happier relationships? Do you want to feel clarity about why you are here? Would you like to feel more self-esteem? To know how to relate better? All this and more is covered. If you have the time and budget, this is the ‘greatest value investment you could possibly make’. It ‘absolutely revolutionises your life’. This is my deepest most powerful, most radical, and quickest results – work. When you balance your four inner characters, you are able to balance 4 key areas of your life – Work, Relationship, Creativity, and Spirituality. 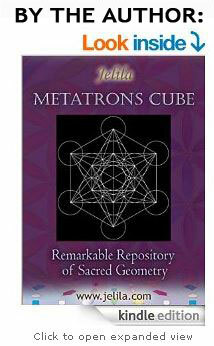 Please Join my list for Spiritual Upates. Strict no spam policy. 1 x 2 Hour Signature Session – £300 – Enough to work on 1 major issue. 6 x 1 Hour Session – $850 – Enough to work on 3 major issues. 6 x 2 Hour Signature Sessions – $1,200 – Enough to work on 6 major issues. 8 x 2 Hour Signature Sessions – $2,400 – Enough to work on 8 major issues 12 x 2 Hour Signature Sessions – $3,600 – Enough to work on 12 major issues. 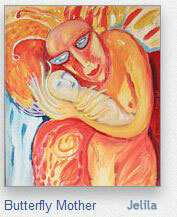 22 x 2 Hour Signature Sessions – $6,864 – Enough to cover The Gift of Harmony and work on 17 major issues. ‘I wish I’d met you years ago – I would have saved $$$thousands on therapy’ ‘Your work is different – but it works’ ‘Your work is like deep psychotherapy – only it works’ ‘A Real Healer’ ‘Peaceful, Trusted, and Wise’ .’. Want a Free Consultation about What You Need? Contact me. 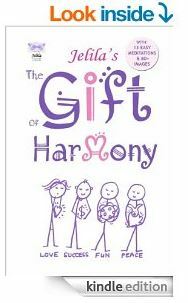 The Gift… of Harmony Course – Helps Relationships. Click to Watch Video & Find Out More. Jelila and you can join them!